The trade came less than a week before the Aug. 31 deadline for teams to have players under their control in order for them to be eligible for the postseason. The Boston Red Sox sent first baseman Adrian Gonzalez, pitcher Josh Beckett and outfielder Carl Crawford to the Dodgers on Saturday, parting with the high-priced stars in a nine-player trade that was the biggest swap in Los Angeles' history. The floundering Red Sox also Boston also sent infielder Nick Punto and cash to the Dodgers. The Red Sox acquired first baseman James Loney, pitcher Allen Webster, infielder Ivan DeJesus Jr. and two players to be named. 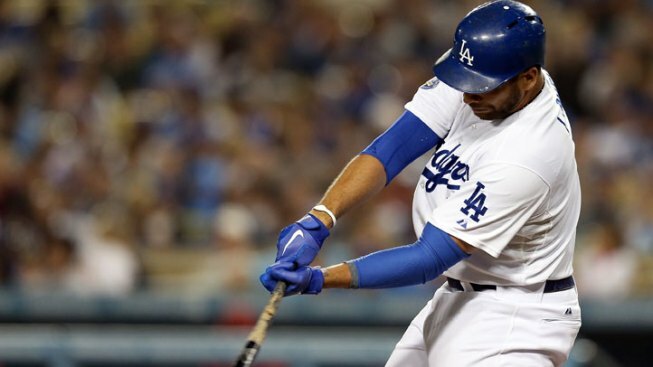 "We continue to do everything in our power to strengthen our team for the stretch drive in an effort to reach the postseason," Dodgers general manager Ned Colletti said in a statement. "This trade today exemplifies ownership's commitment to making the team as good as possible not only for 2012 but for many seasons to come." The Dodgers are chasing San Francisco for the NL West title and are in the midst of the wild-card race. The trade came less than a week before the Aug. 31 deadline for teams to have players under their control in order for them to be eligible for the postseason. For the Red Sox, far back for playoff contention, the deal dismantled the underperforming ballclub and gives them a chance to rebuild without their hefty contracts. Boston stood to save $261 million in salary through 2018 — it was not known how much cash it sent to the Dodgers. Earlier in the day, the lockers of Gonzalez, Beckett and Crawford in the Fenway Park clubhouse had already been cleared out. Boston pitcher John Lackey had already claimed Beckett's locker and the others' were left with generic nameplates. Gonzalez, a former San Diego Padres star, said on Twitter in English and Spanish that he was excited to get back to California. Beckett joined the social media site to thank Red Sox fans, and Punto posted a picture of the three of them on what appears to be a private jet with the caption, "(hash)dodgers doing it first class!" The Red Sox are trying to get a fresh start from the fried chicken and beer fiasco of September 2011. Manager Terry Francona and general manager Theo Epstein didn't last through the fall, and the team's 60-66 record under manager Bobby Valentine so far this season convinced the team's brain trust that a more drastic upheaval was necessary. Beckett helped the Red Sox win the 2007 World Series but was seen as the ringleader in last year's collapse, when the ballclub went 7-20 in September and missed a playoff spot on the final day of the season. Reports of players drinking beer and eating fried chicken in the clubhouse during games surfaced afterward, and Beckett's haughty demeanor continued to alienate fans even as his ERA rose. The 2003 World Series MVP with the Florida Marlins, Beckett now moves from the home of Dunkin' Donuts to the land of In-N-Out Burger, bringing with him a pair of players who were not productive enough to justify their contracts. The 30-year-old Gonzalez is a four-time All-Star and a three-time Gold Glove winner. He hit .300 with 15 home runs and 86 RBIs this season, his second since being traded by san Diego to Boston. 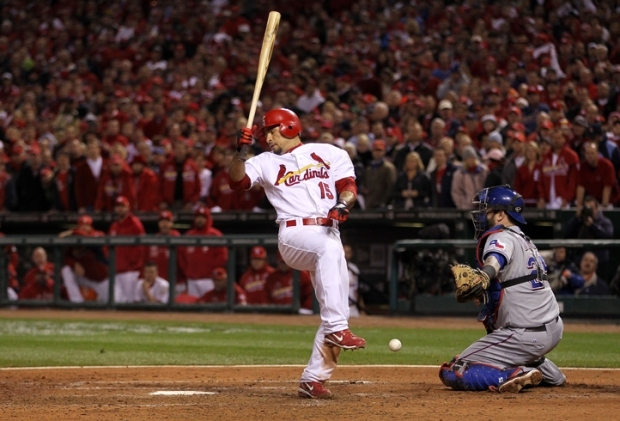 He won a World Series title with the Cardinals last season. The 25-year-old DeJesus was optioned to Triple-A Pawtucket. He hit .273 in 23 games for the Dodgers this year. A 22-year-old right-hander, Webster was 6-8 with a 3.55 ERA at Double-A Chattanooga.